Set in a post-apocalyptic world (aren’t they always? 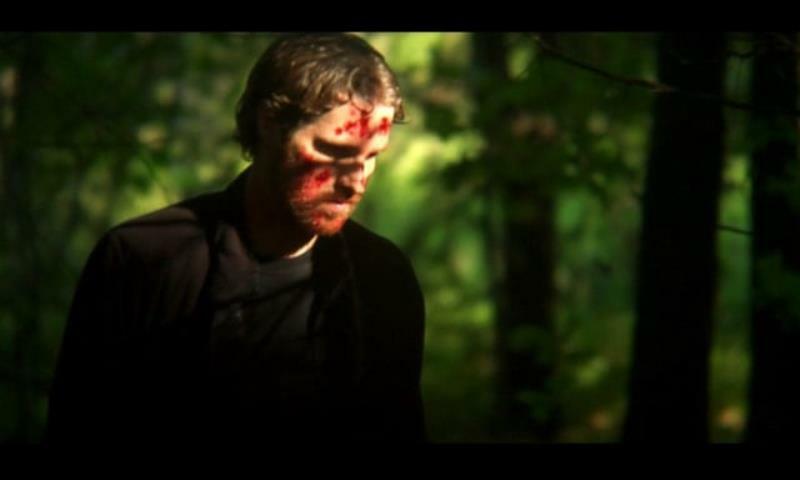 ), where a disease has first wiped most of mankind and then mutated into something else that controls the dead, the film follows two survivors, Lance and Rachel, as they fight back against the mysterious black figures that have begun appearing in the woods. They discover that these black figures – more demon than zombie – must be controlling the zombie hoards somehow and are themselves under the command of a supernatural leader. They decide to confront this leader to try and destroy him and hopefully the malevolent forces that plague the world. So… now you can see the originality right? Mixing a zombie apocalypse scenario with the supernatural element is certainly a refreshing take on things and the amount of innovation in this film is to be praised highly. There’s also a lot to be liked here for fans of gore and splatter – the main protagonist’s weapon of choice is a samurai sword and in the wonderfully put together action scenes, we see blood and severed limbs flying all over the place. 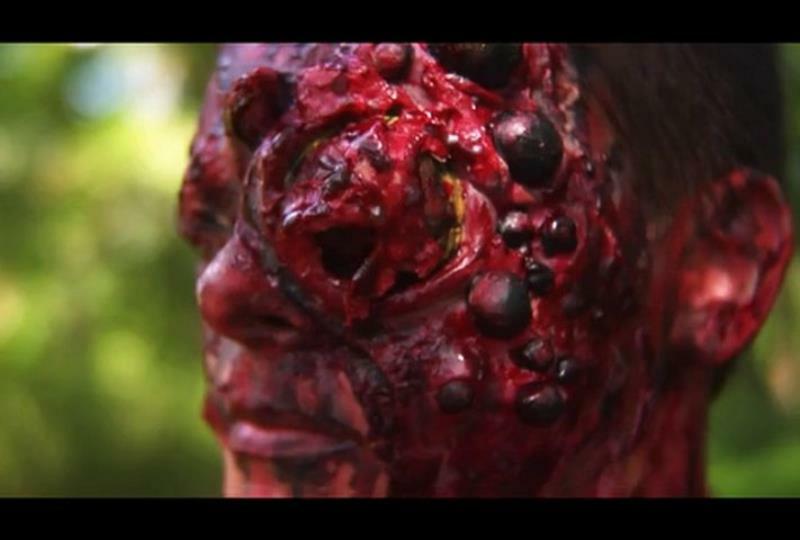 The zombie creatures themselves also look fantastic and the practical effects in general are top notch. It’s a shame then that in a film with so much going for it, it’s let down so much by the acting. It’s not completely apparent whether this is down to the actors themselves or the direction, but more than likely it’s the fault of the extremely clunky dialogue or perhaps a combination of all three. Lines that are meant to be profound and meaningful within the artistic and mature style of the film just fall flat and wooden, which makes identifying with the two lead characters very difficult, although it has to be said that Laurel Kemper, who plays Rachel does a slightly better job of it. With that said, how much you will enjoy this film depends on how much you like zombie slaying action and splatter and how patient you can be with the problems I just mentioned. If you’re looking for samurai swords against zombies in the woods action, you might be better off watching the superior Versus that this film seems to have got a lot of its ideas from. A shame really, because those innovative ideas are what the zombie genre is crying out for. THE SKY HAS FALLEN is directed by Doug Roos and stars Carey MacLaren and Laurel Kemper.